En route from Sussex we’ve stopped at a couple of services, either to fill with petrol or put the car roof down, and seriously wanted to get away as fast as possible. I can’t bear the slot machines, doughnuts and buckets of coffee that seem to be a vital part of any journey. 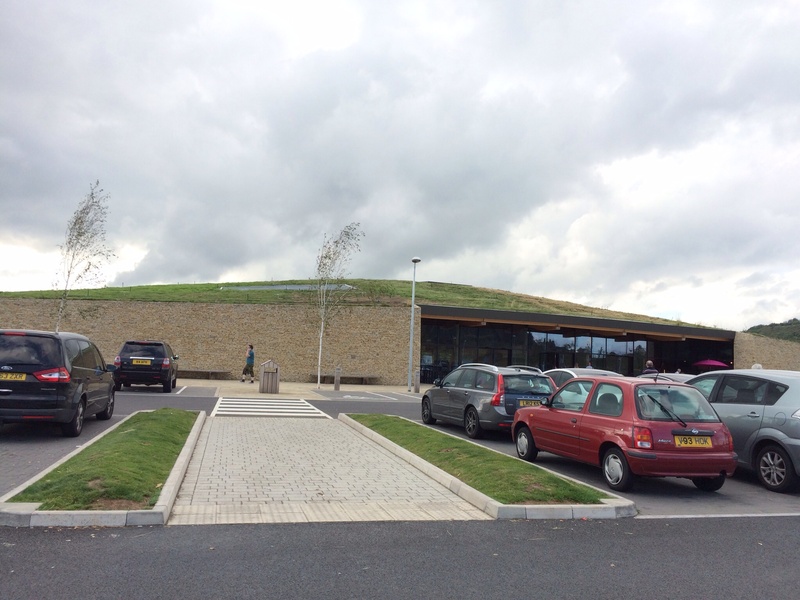 But the M5 services and farmshop proves that they are not! Approaching, the signs read ‘Farm Shop’ services. They are nestled semi subterranean under mounds of greenery between exit 12 and 11a and have none of the jarring lights and signs that we’re so used to. We are amazed when we enter the light filled and spacious building. Light floods through from both sides, a natural garden at the back with seating and tables next to water softens the sound of the motorway, a waterfall and trail around the garden allow you to enjoy fresh air after a long drive. The food looks tempting, well presented and homemade. There are no franchises here. The food is local, seasonal and mostly homemade daily in their kitchens. 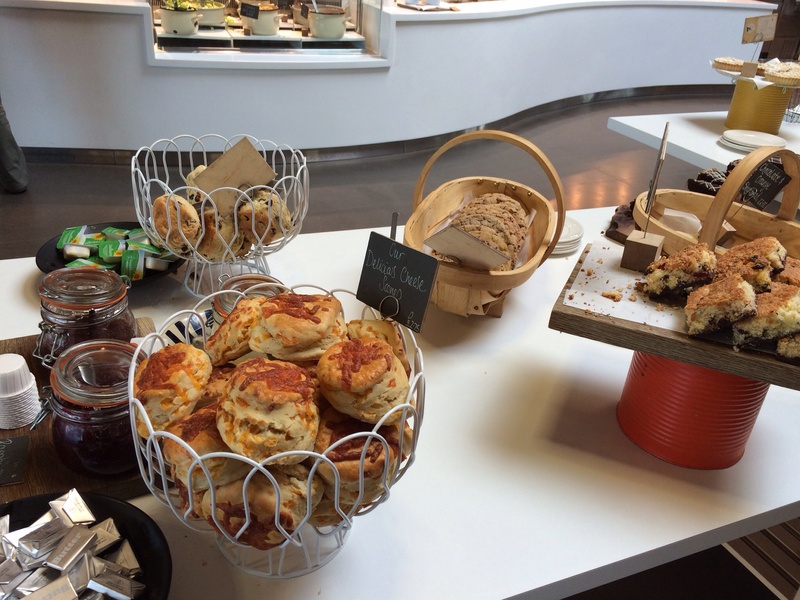 Soups, hot meals and a great looking deli and salad bar, homemade cakes, freshly pressed fruit juices are on offer. Children are well catered for with small sized portions, organic food and baby food. A child height counter where children can select four treat items for £4 is such a sensible idea. Sweet little cakes and biscuits, gingerbread men and juices to choose from. 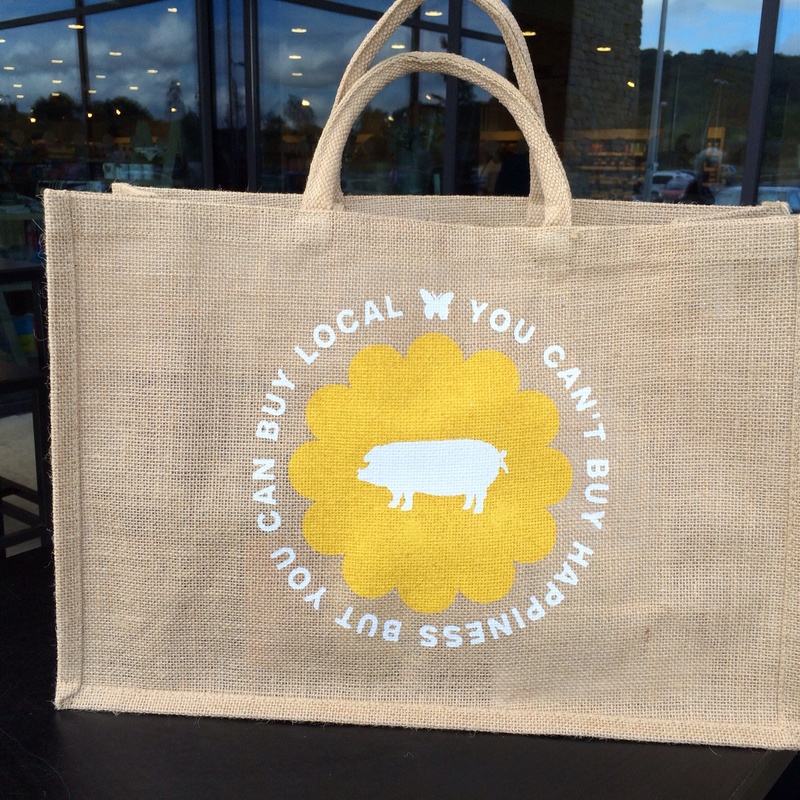 The farmshop sells products that are unique to the area sourced from over 130 local suppliers . There is a very extensive butchers shop, with skilled on hand butchers, a fish monger on the southbound services, lovely looking fresh vegetables and fruit. 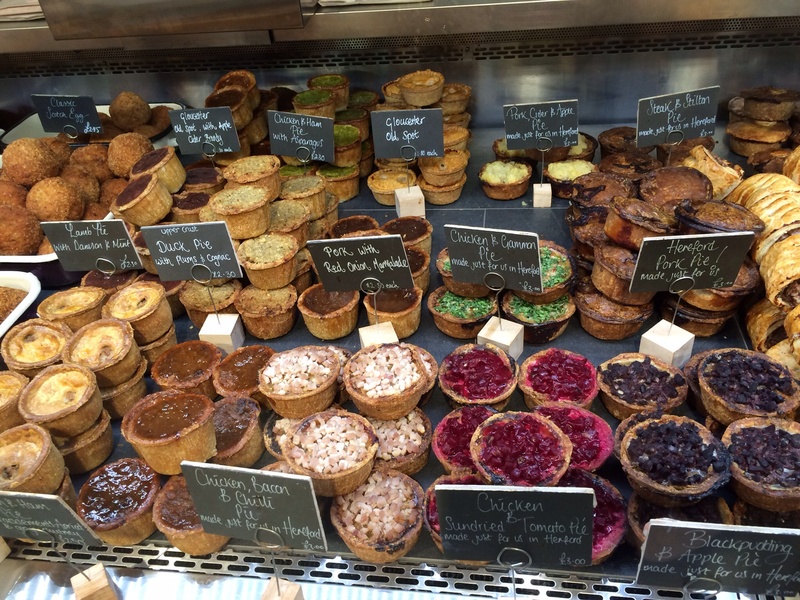 Delicious homemade cakes, local beers and wines, and a pie counter that made my husband very sorry that we had booked a table for dinner in a local restaurant later! 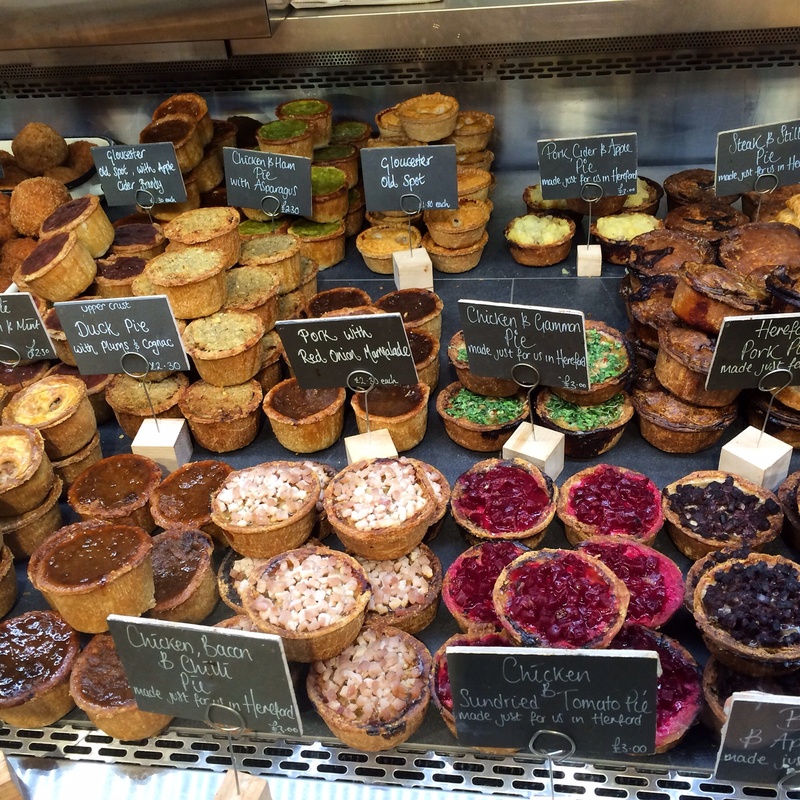 Wonderful artisan bread and a very extensive cheese counter, this is a wonderful food destination. And the staff were friendly and helpful. It seems a very nice environment in which to work. 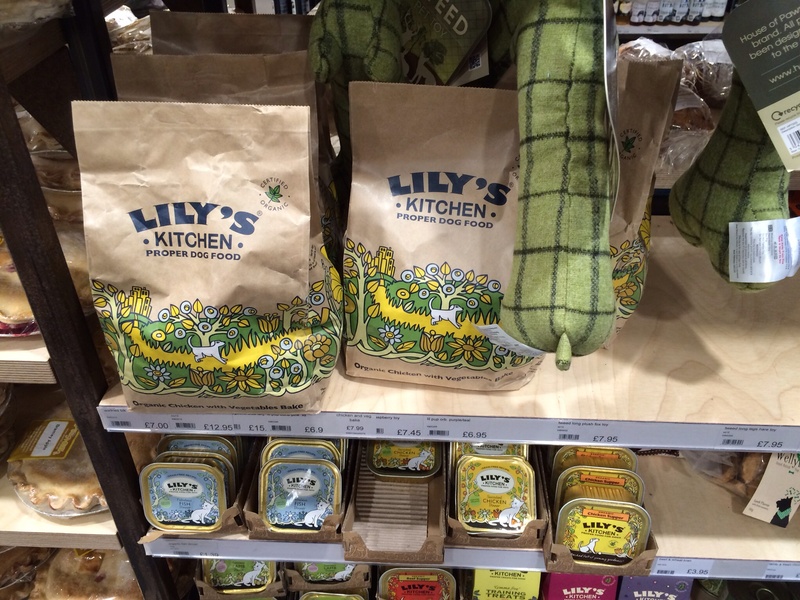 Other delights on offer include aromatherapy products, locally produced ceramics, and even a section for dogs, selling Lily’s Kitchen food (I definitely will need to take Lily some little treat home). And for the travel weary dog there is a well signposted dog walk with water bowls available around the outside of the building. Truckers, if you’re reading, apparently there are free shower facilities available and also overnight parking. We weren’t aware of any trucks, they must have been hidden away in the greenery. 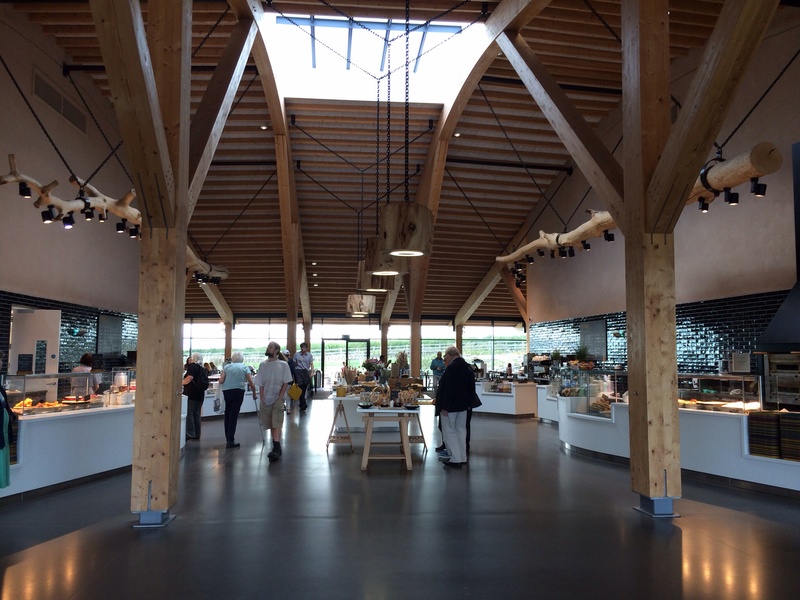 And the petrol station is tastefully and discretely built away from the farmshop and restaurant semi underground on the way out of the services. I buy some choice items that can travel with us for the next couple of days. If I lived nearby I would regularly shop here. And I’m thinking up another reason to visit the West Country just so I can pop in again.